relieve pain from osteoarthritis, lower back pain, digestive complaints, neck and shoulder pain, painful cramps, and headaches. Montgomery County Acupuncturist helps people to stop smoking. Acupuncture relieves pain from osteoarthritis, lower back pain, digestive complaints, neck and shoulder pain, painful cramps, and headaches. Acupuncture was found useful in helping people to stop smoking and loose weight. Most people are aware that acupuncture is an excellent remedy for many types of pain. But acupuncture can also reduce stress, help with weight loss and smoking withdrawal, and provide dramatic improvement of digestive complaints. Alone or as an adjunct to Western medicine, acupuncture provides highly effective treatment for many common complaints, and may provide additional relief for problems that do not respond completely to Western medical treatment. If you suffer from lower back pain, digestive complaints, neck and shoulder pain, PMS or painful cramps, headaches, or one of many other medical conditions, acupuncture can help you. Acupuncture has been found to be of benefit in knee osteoarthritis by NIH study from 2004. The history of acupuncture can be traced back through four thousand years to crude stone precursors of modern needles. Archeological findings from the Shang Dynasty (c. 1300 BCE) reveal early medical notations, and by the Han Dynasty (206 BCE - 220 CE) there is evidence of a complex Oriental medical system. Acupuncture continues to evolve and has grown to meet the growing demand for safe, clinically effective and affordable health care in the West. In fact, it has been shown so effective that the World Health Organization has selected it for worldwide propagation. In November of 1997, acupuncture was officially sanctioned by the National Institutes of Health for treatment of nausea and dental pain, and clinical research exploring its many other applications continues to be reviewed. According to traditional Chinese medical theory, acupuncture promotes the body's innate ability to heal itself by regulating and balancing the flow of Qi ("chee") - often described as the body's electromagnetic energy - along channels identified over centuries of meticulous clinical observation by Chinese practitioners. 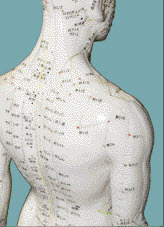 Tiny needles are inserted along these channels at areas of maximum energy - the acupuncture points. Although the physiological effects of acupuncture are still being studied, scientists have identified that insertion of acupuncture needles stimulates endorphins - the body's natural opiates - thus reducing pain and creating a feeling of well-being. This helps explain why acupuncture is so successful in treating many types of pain, yet is not enough to account for acupuncture's marked effectiveness in the treatment of a wide range of diseases and physical conditions. On-going research efforts both in China and the West will one day provide increased scientific evidence for the remarkable efficacy of this ancient art. Often people are interested in acupuncture but afraid of needles. However, the tiny disposable filament needles used for acupuncture bear no resemblance to painful hypodermic needles, and insertion is usually painless. Needling sensations vary from a brief pinching or stinging sensation to a feeling of numbness or distention and are a sign that the treatment is having a positive effect. In fact, most people find acupuncture treatments relaxing and refreshing. 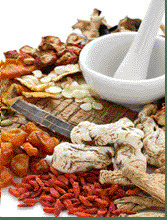 WHO MIGHT CHOOSE ACUPUNCTURE CARE? 1. People whose conditions haven't responded to biomedical (standard) care--they've "tried everything" without success. Managed by J.L. Palfrey for Shopping Portals, Inc.